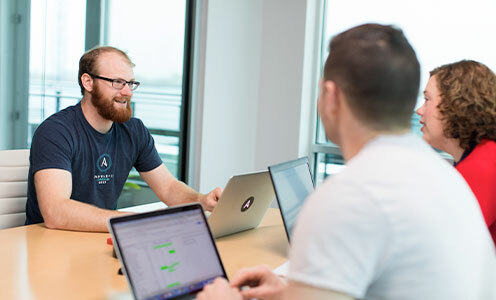 Your customers are already using Ansible, and they are looking for supported ways to expand and govern their Ansible automation - including integrations with your products. Red Hat® Ansible® Engine and Red Hat® Ansible® Tower provide the supported automation platform for partners to build upon. Through the Ansible Automation platform, Red Hat supports thousands of Ansible customers, and automates millions of customer systems. Partners can build, contribute and certify Ansible content, leveraging the Ansible platform and giving customers a powerful way to automate your products. Ansible ships with 2,000+ modules, grouping contributed partner modules and plugins into the largest distribution of Ansible content. End customers can easily find and include partner contributed modules and plugins into their Ansible playbooks. Additionally, Ansible Galaxy serves as a hub for shared Ansible roles. With the Red Hat Ansible Automation Certification Program, our joint customers will get the end to end support on automating F5 application services that mission–critical environments demand. Want to learn more about certifying your Ansible Modules?